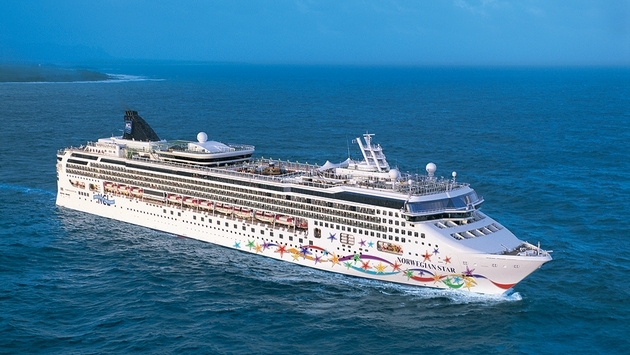 Norwegian Cruise Line announced a major global expansion that will send its ships to far-flung destinations throughout Asia, Australia/New Zealand and South America in the fall/winter 2016-17 season. The new deployment marks the line’s first Far East cruises since 2001-02 and first-ever visits to India and the Persian Gulf. “We are truly excited to offer these incredible new itineraries to our guests, who now have the opportunity to explore areas of the globe that we haven’t called on in many years and some that we’ve never before visited,” Norwegian President and COO Andy Stuart said. The recently renovated Norwegian Star will cruise to Asia in fall 2016 after a summer sailing in the Baltic Sea from Copenhagen, Denmark. The ship will journey through the Western Mediterranean and then depart Istanbul on Oct. 31, 2016, on the company’s first-ever voyage through the Suez Canal to the Persian Gulf. The 20-day “Eastern Mediterranean and The Gulf” itinerary will stop in Kusadasi, Turkey, for Ephesus; Rhodes, Greece; Haifa, Israel, for an overnight; Port Said, Sharm El Sheikh and Safaga, Egypt; Aqaba, Jordan; Salalah and Muscat, Oman; and Dubai, United Arab Emirates, for an overnight. The ship will then offer a variety of voyages departing from Dubai, Singapore, Hong Kong, Sydney and Auckland. Meanwhile, the Norwegian Epic will return to Florida in November 2016 after more than a year in Europe and will homeport in Port Canaveral. It will operate three-, four-, six- and seven-day cruises to the Bahamas and the Eastern and Western Caribbean in the winter but will return to Europe in the summer. 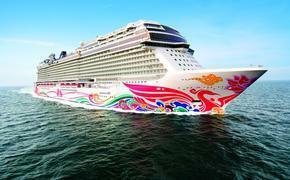 Norwegian Spirit will replace Norwegian Epic as the brand’s year-round European ship. Norwegian Jade will replace Norwegian Star in Tampa from November 2016 through April 2017 and operate seven-day Western Caribbean cruises. As previously announced, Norwegian Sun will return to South America for the 2016-17 winter season. Itineraries range from seven to 20 nights from Buenos Aires, Argentina; Santiago (Valparaiso), Chile; and Rio de Janeiro, Brazil. The new itineraries will open sales later this month — Aug. 19 for Caribbean sailings and Aug. 24 for all other destinations. Here’s an overview of the new Asia cruises. On Nov. 20, 2016, Norwegian Star will depart Dubai on a 21-day “Journey to the East” to Singapore to several ports in India, including an overnight in Mumbai and stops in Goa (Mormugao), Mangalore and Kochi (Cochin). The voyage also includes calls at Fujairah and Abu Dhabi, United Arab Emirates; Muscat and Khasab, Oman; Colombo, Sri Lanka; Phuket, Thailand; Penang, Langkawi and Kuala Lumpur (Port Klang), Malaysia; and Singapore. Throughout December 2016 and January 2017, Norwegian Star offers 11- and 14-day Southeast Asia sailings from Singapore and Hong Kong. The 11-day cruises will depart Singapore on Dec. 11, 2016, and Jan. 5, 2017, and visit Ko Samui and Bangkok (Laem Chabang), Thailand; Ho Chi Minh City (Phu My) and Nha Trang, Vietnam; Sanya and Hong Kong, China. The 14-day voyage from Hong Kong on Dec. 22, 2016, will celebrate the holidays with calls in Kaohsiung, Taiwan; Hanoi (Ha Long Bay), Da Nang, and Ho Chi Minh City, Vietnam; Sihanoukville, Cambodia; Bangkok and Ko Samui, Thailand; and Singapore. Norwegian Star will depart Hong Kong on Jan. 16, 2017, on a 21-day “Southeast Asia and Australia” itinerary to Sydney, Australia. Ports of call include Nha Trang and Ho Chi Minh City; Bangkok; Singapore; Bali (Benoa) and Komodo, Indonesia; and Darwin, Cairns, Airlie Beach, and Brisbane, Australia. Norwegian Star will depart Feb. 6, 2017, on a 12-day voyage from Sydney to Auckland, New Zealand. Ports of call include Melbourne and Burnie, Australia; and Dunedin, Akaroa, Wellington, Napier and Tauranga, New Zealand. Norwegian Star also will sail a 19-day cruise from Auckland to Singapore departing Feb. 18, 2017. Ports of call include Bay of Islands, New Zealand; Sydney, Brisbane, Airlie Beach, Cairns and Darwin, Australia; and Komodo and Bali, Indonesia; and Kuala Lumpur. Norwegian Star will begin her journey back to the West on March 9, 2017, with an 18-day Southeast Asia and India sailing from Singapore to Dubai. Ports of call include Kuala Lumpur and Penang, Malaysia; Phuket; Colombo, Sri Lanka; Kochi (Cochin), Mangalore, Mumbai and Goa (Mormugao), India; Muscat and Khasab, Oman; Fujairah; and Abu Dhabi. Rounding out the season is a 20-day voyage departing March 27, 2017, from Dubai through the Suez Canal to Venice, Italy. Ports of call include Fujairah; Muscat and Salalah, Oman; Aqaba, Jordan; Safaga and Sharm El Sheikh, Egypt; Haifa, Israel; Iraklion, Crete, Greece; Dubrovnik, Croatia; and Venice, Italy. Norwegian is offering the Freestyle Choice promotion through Aug. 31, 2015. Guests who book any stateroom can select an extra amenity, including a free Ultimate Beverage Package, a specialty dining package, a Wi-Fi package, free pre-paid gratuities, or Friends & Family Sail Free, where the third through eighth guest in each stateroom can even sail for free. Guests who book a suite or The Haven by Norwegian will receive all five offers for free.